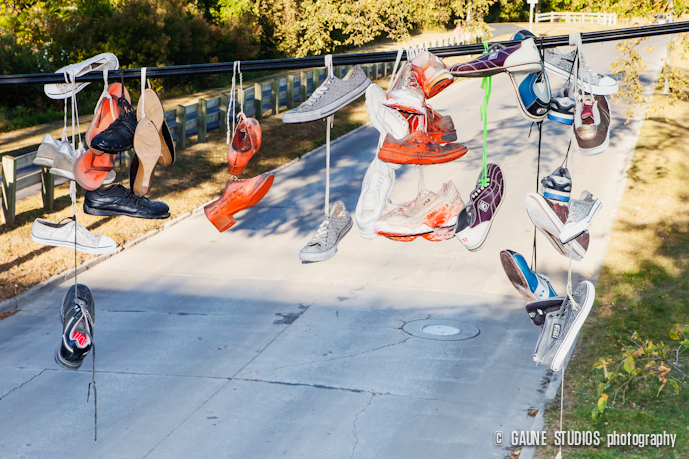 I’m coming across these shoes strung over wires (shoe-fiti), especially around traffic lights, all over the city. 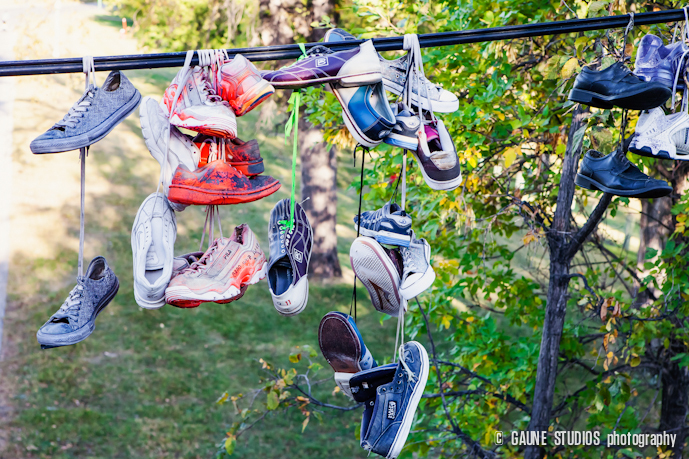 They are a mystery to alot of people: why would anyone need to hang shoes over wires? I’ve heard some interesting answers, including gang-death-related, and shoes lost in fights. However, after taking a few photos of shoe-fiti, I have a feeling the reasons are probably not that sinister. When zooming in with my lens, I could see that several shoes had text written on them. One particular ancient pair has “please return to Bernice aka “Gran””. Others are more original, “Brad wuzzz here.” I believe I can rest the case. So, what do you think? A waste of chuck-taylors, or fun expression?